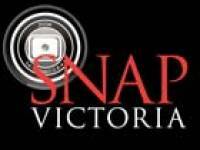 searchmain menuLocal PressSnap´d by Snap Victoria!! First-ever customer Pat Rose of Esquimalt called the Pet Memorial Center in search of a special place to take care of her little girl, a Shih-Tzu Poodle cross named Rosie and was touched by all of the special details that go into the service. See http://www.snapvictoria.com/index.php?option=com_sngevents&id=209219 for more pictures and information - and stay tuned for Vancouver Island´s first pet obituary column!